Why can you care about my decision...? First I hope you may wish me a good luck... But there is a little more. Since now I will have a lot more time to write on my blog. I know that now I will have to work really hard to be successful and I will write about all my successes and failures. Moreover I will make a monthly reports about my online business so if you are still unsure about giving up your day job you may get a test drive with me :-). Soon I will write my first monthly report number 0. There will be no any money numbers yet, but I will write about my starting point. Moreover I will be writing about website flipping, software development for money and maybe a little about stock photography. If you are interested subscribe to my blog & wish me a good luck! Hi deb, great to know someone with similar experiences. Let me know if you happy with your decision after one year. Oh yes it turned out to be one my best career related decisions. Lots of time for family, sleep till late mornings, write good code with eternal peace like a buddhist monk when the rest of the world is asleep, watch a hollywood flick & then code some more, go to bed in the wee hours of the morning. In gist i would love to remain an independent developer as many years as possible. Best wishes to you, KreCi! I did the same thing in year 2000. It’s been a great experience. BTW, I visited Krakow and Warsaw briefly in 1992. All the best to you. Hello Truman. It is great to know that you are doing it for over 10 years! That is amazing! It makes me even more sure about my decision! Thank kviksilver for your support. You must be sure and see real profit possibility before such move. As sometimes it is really hard to jump in into online business. But it is really great feeling to be your own boss! been taking this path since 2006 and i wish you can survive all hell involved with starting your own business. Nice meeting you! i’m from indonesia btw. Great! :) ..Best of luck.. I have also done the same thing in 2000. I’ll never look back. Met some really cool people along the way. Glad I came upon your blog. I’ll keep following to see where you land. Good luck! As I wrote I have got some proofs… it means that I have already started working on it and have enough passive income already to make this decision. Best of luck with the stock photography. The way to make a good living from that is, I think, to take requests. Keep selling through iStockPhoto, but create a nice polished separate website where people can suggest photos they’d like to buy and you can show off previous requests that you’ve fulfilled. Really great idea Trevor. I will consider doing it. But iStockPhoto can be really profitable as well. You get micro payment for 1 download – but if your photos are desired enough you may make thousand dollars on each one. Good Luck! I’ve been down that path and back (as I’m now working again full-time for a large corporation). Please learn from my mistakes! Here are some tips: Pay yourself as little as you can get by on; Spend as little as possible on business expenses; Save every penny you can for those times when you have no paying clients/customers; While diversification is good, you are only one person, so focus your efforts on the best paying opportunities that you enjoy doing; Do not waste time writing a business plan that is more than 2 pages long; do not raise money from others if you can help it; do not go into debt unless you have a SOLID plan for paying the money back; pay your taxes on time; pay attention to your friends/family as you’ll need them for support; blog about your efforts as your readers will become a true source of support; find a way to be resilient in the face of failure (that could mean eating well, taking care of your fitness and health, getting out with your friends, keeping a log of your accomplishments to review when you are down, etc. ); and, lastly, have fun! There are many people who wish they were brave enough to do what you are doing, so be proud of yourself. I did the same recently. I had worked for a an online retailer (biggest in Europe photo printing company) in London for a year. About a month ago I opened my own web design/development studio. Being your own boss is fantastic. Hi Pawel, thanks for comment. You are right it is great to be your own boss. I just need to make sure that the money would follow my feelings… but I am really hardly working on it. I quit my job as a web developer about 2 months ago and now work for myself as a full time affiliate marketer. Thanks Casey. Best of luck to you too! Very cool to find you doing this. I’m about to graduate from my university, and plan on doing something along those lines to support myself and travel. Are there any communities online for people like us? Hello Jordan. Yes, there are quite a few forums. My favorite is warrior forum. Hi from New Zealand, first of all, @Clint Laskowski made a great point there about keeping a log of your achievements when you’re down. I knock off hard problems then completely forget in hindsight what achievements they were. I quit my job about a month ago as an experienced developer because it just got too demoralising for me to work on a project entirely planned and designed by other people. I realised that I need to feel good about my work for my own survival and that it was imperative that I quit and do something cool, “rekindle the fire” etc. It’s so fascinating hearing people’s freelancing stories, thanks and good luck! Thanks for your comment and wishes! I felt exactly the same. I hated doing things planned by my bosses especially when I knew that it have no sense at all.. Great to know someone who thinks just like me. Good luck to you too! Good luck on your exciting journey. I myself resigned from work 2 months ago to pursue working on my own as a online entrpreneur. It really feels good to be your own boss. Good luck. My only advice would be to focus on what you want to achieve. It’s quite easy to get side tracked. I started with the journey and within a month took up another job, but am now working my way of it. 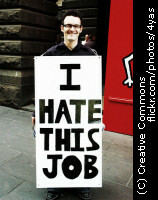 There are time you will feel like taking up a regular job because of being used to paycheck. Remind yourself why you started with this in the first instance. Really helps.